I love my Syos piece. It’s kind of scary how accurate and precise this thing is from top to bottom. Who knew 3D printing combined with genius acousticians could create such a beautiful sounding mouthpiece! Well, now I do! Michael Wilbur was born in Brockton, MA and moved to New York City when he was 18. 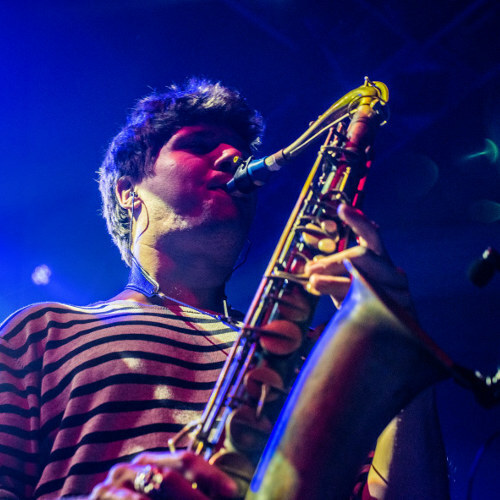 While studying Jazz at The New School, he met his band mates in what is now Moon Hooch. They started playing together on the streets and subway platforms before eventually growing into a worldwide dance music success.